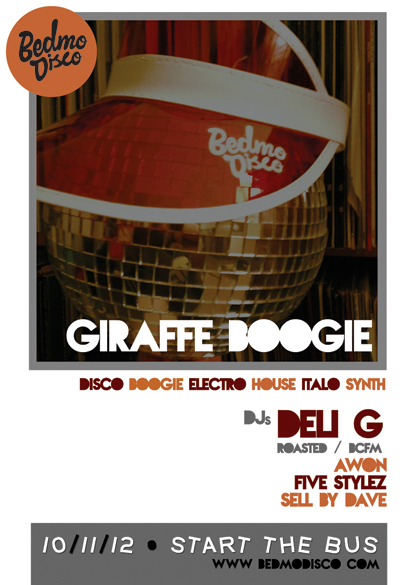 EVENT: DELI G AT GIRAFFE BOOGIE TONIGHT! 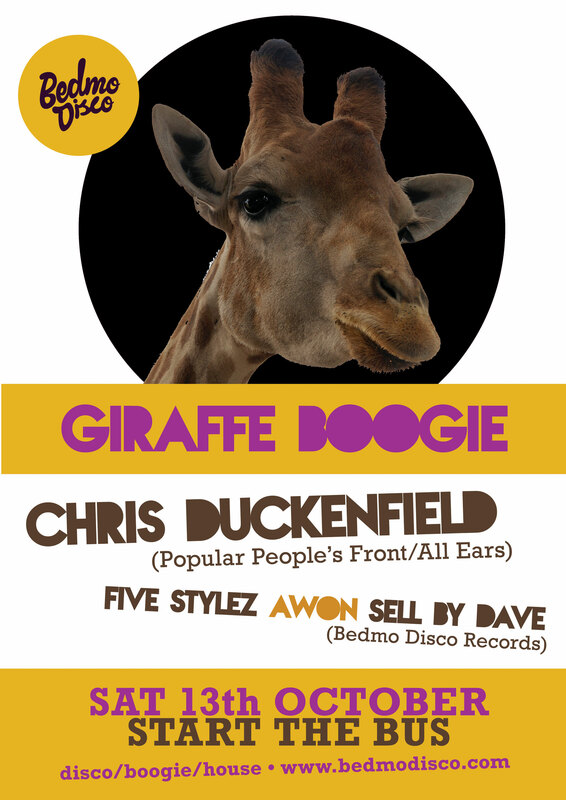 Tonight, Giraffe Boogie returns. As usual, we’ll be taking over Start The Bus (Baldwin Street, Bristol) for a night of quality underground disco, boogie, electrofunk, Italo, synth jams, proper house and random reworks. This month’s guest is legendary Bristol DJ/radio host DELI G.
We’re rather looking forward to tonight, as we’ve got a box of custom-made BEDMO DISCO VISORS (those colourful sun visors that used to be popular in the 1980s) to give away. And, of course, the music will be ace – Deli is a top DJ. For the uninitiated, Deli G is an award-winning radio host, best known for his show The Touch which ran on Galaxy 97.2FM in Bristol for well over 15 years from 1991 onwards. During that time, he showcased the best in black American dance music, and became firm friends with many of New York, San Francisco and Chicago’s leading DJs and producers. 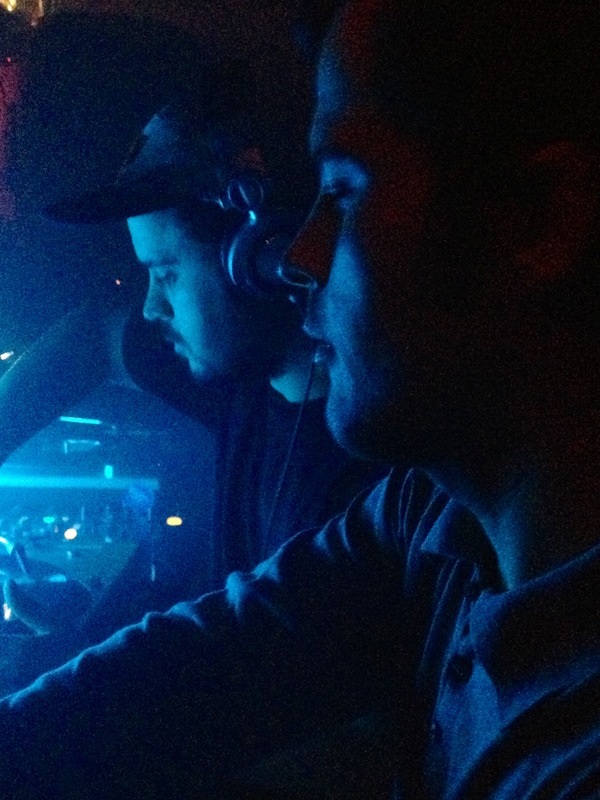 During the 1990s and 2000s Deli was a regular face on the Bristol club scene, where he was an integral part of the successful Roasted night alongside friend Ben Daley. He’s also DJ’d internationally and was a regular face at the Southport Weekender for many years. Deli originally started DJing in the early 1980s, and his record collection is famous for its depth and variety, offering a unique overview of shifts and changes in black American dance music from the 1970s to the present day. Although famed for playing quality house and US garage, he owns a formidable collection of original disco, boogie and electrofunk records – including a large amount of test pressings, acetates and one-off promo records that were never released. A firm friend of the Bedmo Disco family and an enthusiastic supporter of recent releases, he’ll be showcasing his disco and electrofunk collection at GIRAFFE BOOGIE on a rare headline appearance in his hometown. If you want to get a taste of his skills, he now also hosts a weekly show on Bristol-based community station BCFM. Anyone who listened to his show back in the day will tell you that it should be appointment listening. 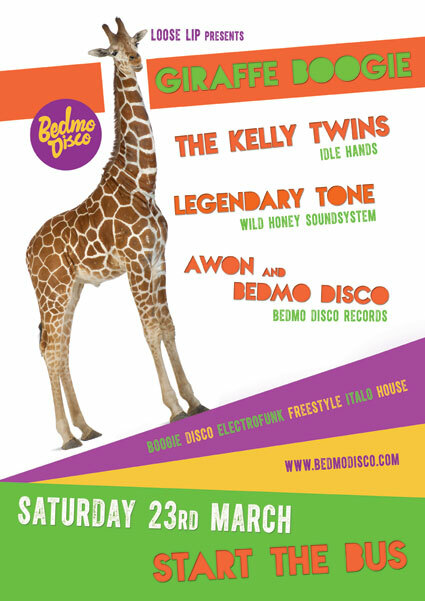 In support, as always, will be the Bedmo Disco trio – Awon, Five-Stylez and Sell By Dave. So, come down and party hard with us. For the record, the party begins at 10pm. £2 to get in – cheap as chips!